Today marks my entry into 37 weeks of pregnancy. Likely, at least three more weeks to go as my body’s smooth muscle doesn’t seem to appreciate moving spontaneously, and I don’t have a pattern of early births. (Sigh.) Yeah, the last month of pregnancy hurts, but I try to savor the appreciation of how my family and life is right now, knowing that although it will be better, it will never be the same again. This week I am hoping to push out several personal posts on pregnancy because once this pregnancy is over, I plan to not be lookin’ back. Severe joint pain, nausea, headaches, moodiness, exhaustion, and constipation are not my cuppa’ tea. However, definitely before I leave this golden field behind and while it is still fresh in my mind, I want to write a post on diastasis recti in case anyone else out there is dealing with this. What is this strange pain? I had heard of and seen things like round ligament pain, symphysis pubis pain, sacroiliac joint pain, acid reflux pain, and so on in training. But early in the third trimester of my first pregnancy, I developed a very strange stretching, burning, pulling type of pain in the midline of my abdomen. I knew from experience it wasn’t something serious–nothing coming from my internal organs. But, dang! It was uncomfortable! I felt like my midline was literally being torn apart! I asked my girlfriends who had been pregnant about it. Nothing. I asked my OB about it. Nothing. Just one more lovely thing about pregnancy to add to the tally! And it was uncomfortable! After pregnancy, I noticed when I’d sit up in bed, my midline abdomen would bulge out like one of those old-fashioned water bottles! My husband, being the musculoskeletal expert in our family, said, “Hey! You have a diastasis recti!” My OB confirmed that’s what I had and felt it would improve with time. It didn’t. Okay. It did improve some. But I could still shove a ball somewhere between the size of a golf and tennis ball where my belly button used to be. Beautiful. Simply beautiful. The battle ground of my belly. I will never see the belly button of my childhood days again. Think of a bodybuilder with the perfect six-pack (the six-pack muscle is made of several parts and is scientifically called the rectus abdominus muscle) . The line dividing the six-pack right in half down the middle, placing 3 “soda pops” on either side, is called the linea alba (the “white line”). Smack dab there in the middle from the top to the bottom of your midline, where your belly button lives, there is no muscle. All that is there is a strong layer of connective tissue between the two halves of muscle, the linea alba. 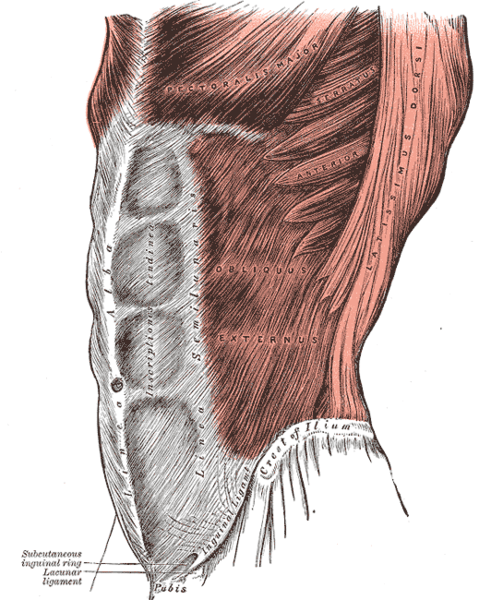 When that strong layer of connective tissue becomes stretched wider and thinner than it ought to be, it is called a diastasis recti. This can frequently occur in pregnancy with all the stretching due to size and hormonal changes that occur to loosen up our tendons and ligaments to allow our bodies to accommodate and deliver the baby. It makes good sense for that sheath to be able to stretch out during pregnancy! Unfortunately, in some women, the diastasis is quite large and doesn’t ever return to normal (or even close to normal). These women have “mummy tummy,” distorted belly buttons, billowing out of the abdominal contents with abdominal wall contraction or gravity, and problems with core body strength! If women don’t know about this condition, they may wonder why in the world their abdomens don’t shrink no matter how “skinny” they get! I didn’t really get any more of that horrible stretching sensation where it felt like I was splitting apart with Baby 2 or Baby 3. I guess I was as split as I could be. Shortly after Baby 3, I developed a kidney stone, requiring an abdominal CT scan. The scan, aside from the kidney stones, showed that I also had an umbilical hernia–an actual hole in the linea alba right there at the belly button. After a visit to my general surgeon for consultation, it was decided that the hernia was large enough that it would not “strangulate” any bowel. With an umbilical hernia, sometimes loops of intestine can squeeze through the hole and get their blood circulation cut off. The intestinal tissue strangulates and dies, leading to an exceptional emergency situation. My hernia was big enough to let my intestine slip in and out unimpeded. Yippee. Then, I became pregnant again with Baby 4. Ooh-la-la. Ouch. At about 13 weeks, when horrible bloating hit, my midline felt that horrible stretching sensation again. Kind of like someone taking your ankle or shoulder and contorting the ligaments and tendons in positions they aren’t meant to go. And it hurt and has only let up here and there throughout the pregnancy. Coughing, bloating, laughing, trying to get off the couch or bed, and sometimes just sitting are painful events. Pain like my kidney stone? No. But painful still. And PLEASE don’t touch my belly in the midline! The sides, where I still have good tissue support–fine, touch and push like the dickens. But please not the midline! Another wonderful blessing of a diastasis recti is the visibility of the uterus and baby parts right there seemingly under your skin! Like it’s going to fall out of there or something! To help with the pain, I invested in a belt after researching a bit on-line. The belt helps. Not completely. I don’t wear it all the time because I don’t want to lose the core abdominal strength that I do have. But when I feel the tearing pain increasing, I put it on and it kind of lifts up my belly, taking pressure off of the damaged linea alba. Sometimes I wear it at night after a bad day. Sometimes I wear it on a long walk. If I’m having bad bloating, which also hurts it, I will wear the belt, too. It comes with extra attachments. (Doesn’t that sound so funny!? Attachments.) I have the “suspenders” and the “extra cinch” piece. Here in the last 6 weeks I have just started needing to occasionally use the suspenders and extra cinch. Before this point, simply the belt seemed like enough, as it is adjustable and has grown with me. The belt is soft, but my pregnancy belly is itchy no matter what so I always wear the belt over a cami or undershirt. A last point on the belt: I have found that it helps my sacroiliac joint pain also. Again, it doesn’t remove all the pain, but it really does reduce it. I have never had another belt to try, so this is the only one I can vouch for. To me, it has been worth it. 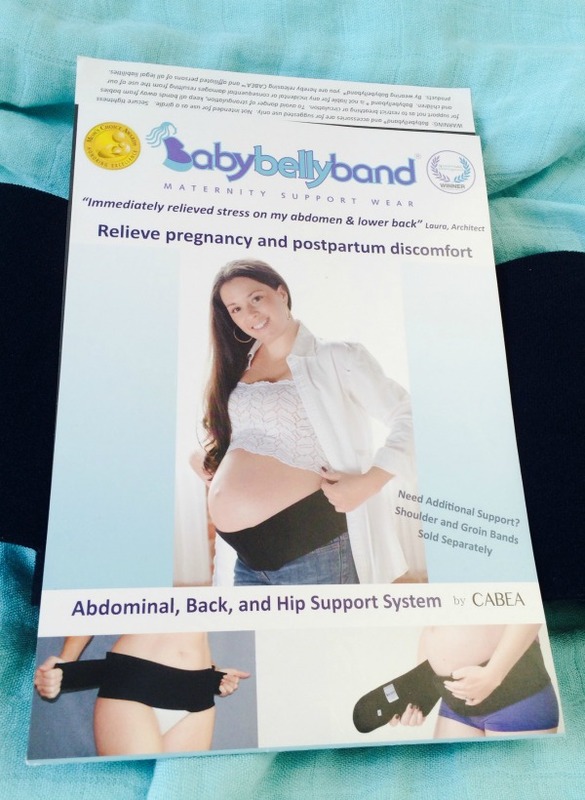 The belt I purchased was Baby Belly Band. This is NOT a thin, stretchy type band to use for aesthetics or mild support. I have those, too, and they are not the same deal. Is there a way to fix it? As this is a personal post, speaking off the top of my head, I’m not going to go into much detail. There are surgical procedures that can be done. The technique offered will differ based on many factors, including whether or not you have a hernia and even what kind of surgeon you seek out to do your procedure. Many insurances will not cover this unless you are having some medical issues related to the diastasis/hernia. Also, many doctors don’t recommend fixing them unless you are done with pregnancies. So if I HAD had my diastasis/hernia repaired, the result could have been compromised by my current pregnancy. There are binders out there. This is not a fix, but I know that my diastasis is hugely apparent during the months after delivery. At this time, I do often wear a binder to “hold it all in.” It doesn’t work permanently for me, and again, I like to make sure I’m never putting my own core abdominal strength in peril due to a binder, but it does “bring it all in” temporarily for me. This is different from the belt/band I describe above. It is much wider to wrap around your entire midline section–or at least much of it. So if you have this splitting feeling in your midline with pregnancy which you’ve discussed with your doctor to rule out the “bad stuff,” maybe check out the term diastasis recti on a computer search. Or, if after reading this you think, “Yeah! That’s me! I have a diastasis recti still!” Search. You’ll find a lot more than I’ve got summarized here. This post was not for diagnosis or treatment. It was a sharing of my story to heighten awareness. Wishing you joy in parenthood and life. This entry was posted in Health Issues, Pregnancy and tagged baby belly band, burning pain in the middle of stomach wall in pregnancy, diastasis recti, help with pain from diastasis recti in pregnancy, hernia, pain in the midline during pregnancy, Pregnancy, Review, sacroiliac pain on July 14, 2014 by thehomeschoolingdoctor.